Welcome back everyone, we just have a few new products this week. I have my very own 'me' kit. It's a little flattering, a little creepy, and mostly awesome. No, we won't be selling them. The RedBoard is back! 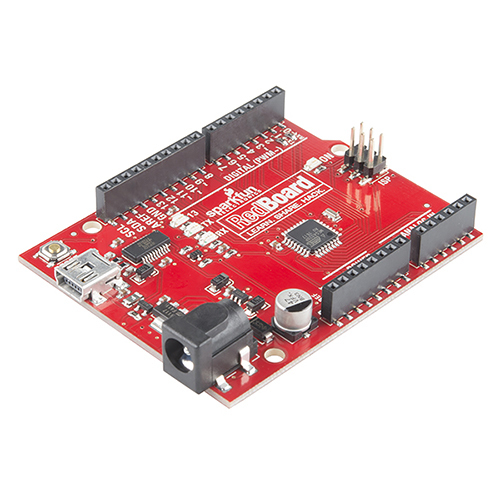 We took a beating during Arduino Day, but we finally have the RedBoard back in stock, and it's the new improved version. We listened to your feedback and incorporated a surface-mount ISP header. The board not only sits flat, but also has the header pre-installed so you can use it with shields that require the ISP connection. We also have solder paste back in stock this week. 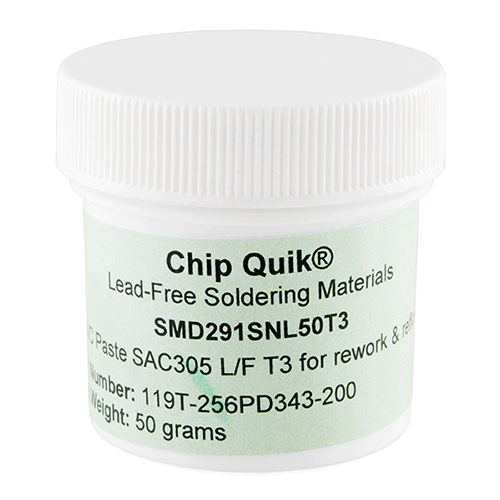 This is 50 grams of lead free paste for all your surface mount soldering needs. This is a higher quality paste than we've previously carried so if you're looking to take the plunge into some next-level soldering techniques, you should check it out. If you're looking to learn how to stencil using soldering paste, why not put together a Simon kit? This stenciling kit includes a PCB, a stencil and a manual (all of which was previously found in the Simon Stencil Kit). All you need to do is add some paste and the SMD components. 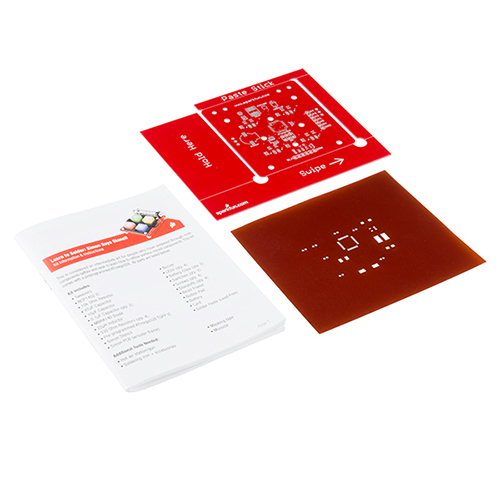 You can use this kit as an add-on to the Simon Says SMD Kit if you want to try your hand at stenciling. Buttons and switches might not be the best way to turn on and off devices in wearable tech. What about using a common fastener like hook and loop? 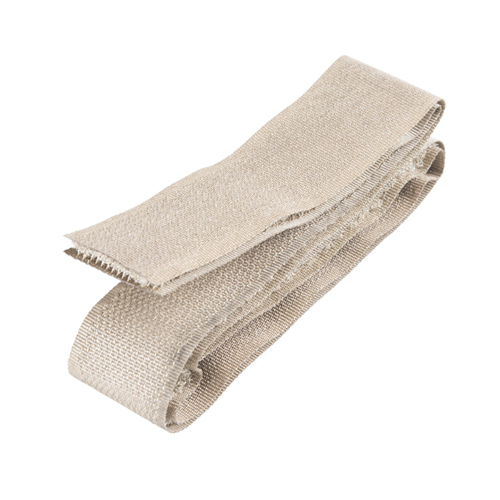 This week we have two lengths of conductive hook and loop (Velcro). The strips are conductive, so you can use them in any application where you'd normally use a wire to create a basic switch. We have it in 10cm strips as well as longer 40cm strips. Both can be cut to size. 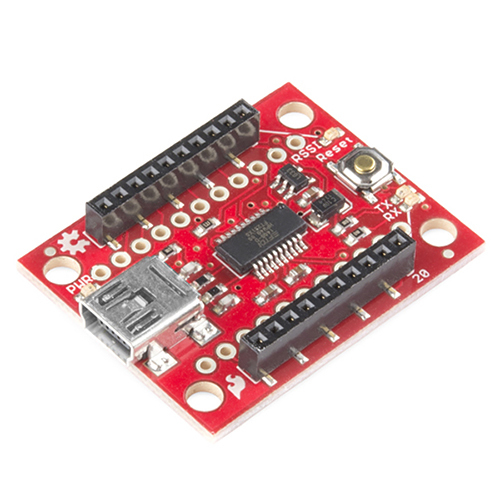 Lastly, we have a new revision of our popular XBee Explorer USB board. These boards are essential for communicating with an XBee. The new version has a couple minor changes and uses the FT231x instead of the FT232RL. The new version remains functionally the same. That's all I've got for this week. We have a bunch of new stuff next week. Make sure you check back then, we'll have some REALLY cool stuff. Thanks for reading and watching and we'll see you next week! I think the Rob kit could make millions!!! You guys gotta put that into production! However I'm not sure how much beard power you can get from just one beard. I'm guessing you powered it by rubbing the circuit board against Rob's beard, and saved the power in a high charge capacitor? That's a little risky. One of the attachments has 2 LEDs I can see a single beard hair strand lighting up 1 LED very dimly, but 2?? I'm just not sure you understand the physics of the whole thing. Each beard strand increases the power exponentially. I think there has to be at least 3 beard hair strands for the thing to work! Arrrgghhh! The hardware flow control pins on the FTDI STILL aren't brought out like they are on the Duemilanove! As long as the "Rob kit" does say it's looking for Sarah Connor, ha! I admire a man who can say the word "sheilds" in a video that many times with some kind of William Shatner related joke. nice. you know I like a good acronym. Is the entire strip of velcro connected or can I have a piece of velcro and section off parts to send a specific signal? You would think it's just velcro made of conductive thread, and assuming that means it would be the same along it's length. You know you're a die hard spark fun enthusiast when you remember watching the new product posts without Robert's beard. I gotta see that! You wouldn't happen to have a link to one? did anyone catch the quik chip instead of chip quik in the video, I had to rewind it a couple times just to make sure. Who doesn't have trouble saying Qwip Kick out loud? Friday Product Post: Let's Do the Qwiic Twist!